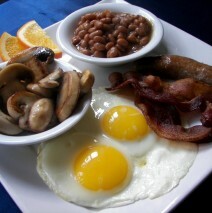 We loved “the big breakfast” — the beans and mushrooms on the Billy Bunter took me back to my summers in London. And the Banger was magnificent! The atmosphere and service are great and there is a nice air of informal elegance about the place.